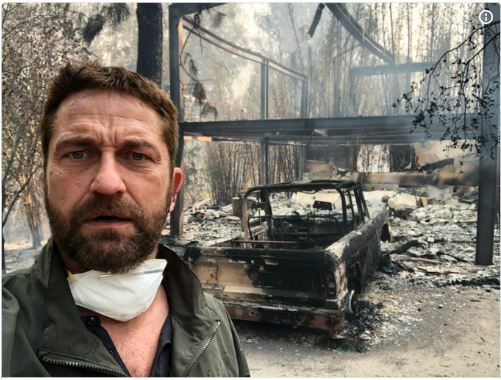 Numerous celebrities shared their wildfire losses & pics on social media. Dave Grohl visited LAFD and even BBQ’d for them, while Lady Gaga visited victims at Red Cross shelter. 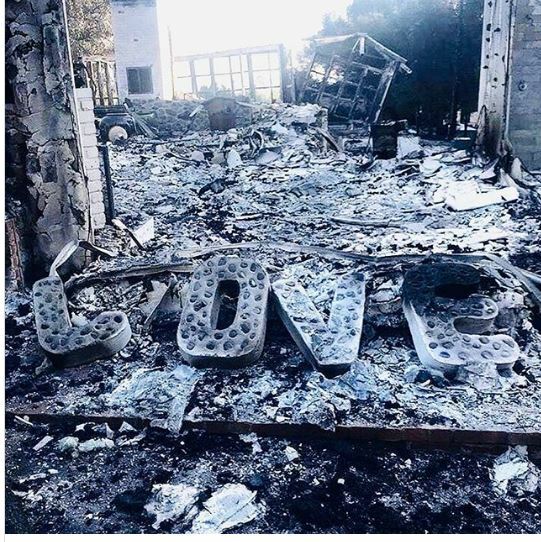 First of all, our hearts, thoughts, prayers go out to everyone effected by the worst wildfires in California’s history. Tim and I lost just about everything in a house fire, mementos, heirlooms, real clothes from the 80’s, pictures, computer drives, books, and my mind while dealing with less than reputable contractors & Historic Commission. Relieved and glad that no one was hurt in ours. Despite it all, we are still thankful for the prayers & kindness from friends and strangers. Here are some of the experiences shared by some celebrities. 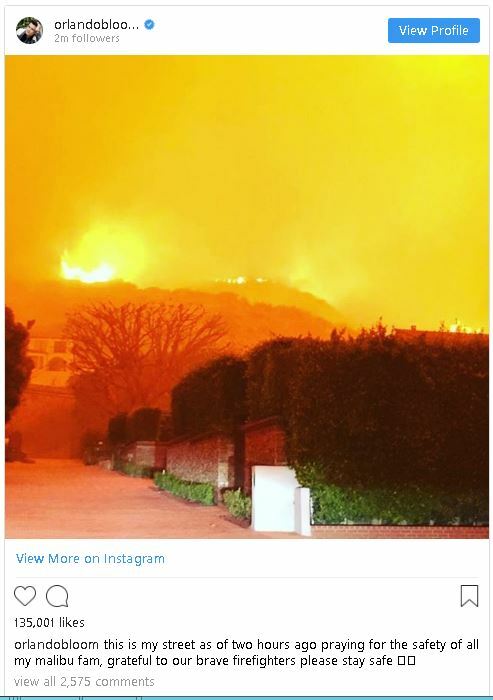 On Monday, Foo Fighters frontman, Dave Grohl, visited Los Angeles County Fire Station 68 to lend his support to the firefighters battling the devastating wildfires. While he was there, he cooked up some barbecue for everyone. “It was awesome to get a visit tonight from Dave Grohl of the @foofighters,” the caption reads. And we know you’re dying to know about the Kardashians, Caitlyn lost his/her home but the others so far haven’t. 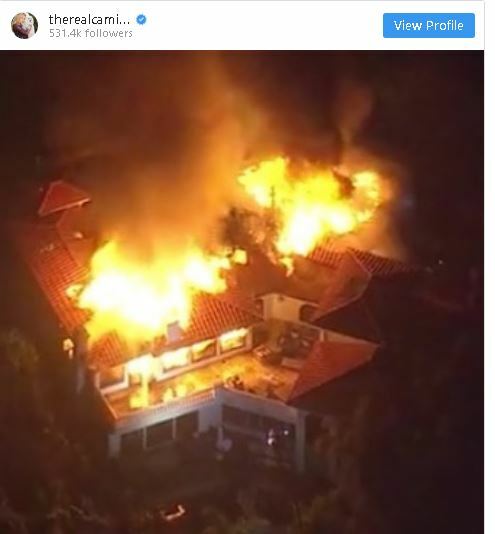 Neil Young lost his home, second one lost to wildfires. He wrote a scathing post about climate change being ignored. Just remember, even when you have just about everything, it is still painfully depressing and mind boggling to see your memories, mementos, etc. all go up in smoke. So please understand and consider the victim’s thoughts before you say ‘it’s just stuff, it can be replaced’ because most of it can’t be replaced.” “I’m so sorry, can I help get that stinky stuff out of your house” or “Can I do anything?” is much better. Good luck to all those effected by the recent spat of major disasters. Wishing you the best of luck.